As a carrier or dispatcher, you will sometimes have broker or similar fees scattered throughout your order list. These fees can be hard to find, especially with large trucking operations. So we have created a new feature that allows you to view all of those fees in one list. This will make it easier for you to see who you owe money, and when. We fill this list with the fees found in the PAID section of your dashboard. The first option to change is the date range for this list. 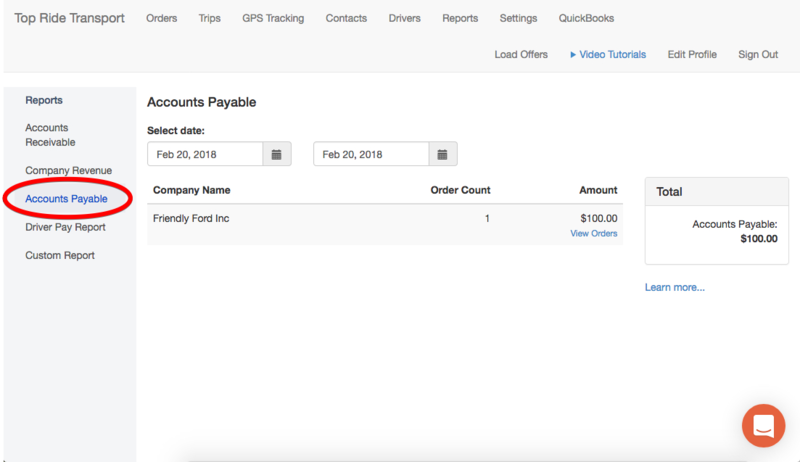 By default the "SELECT DATE" date range is set to show the oldest paid order date with the fee in it, but you can change that by clicking the calendar icon. 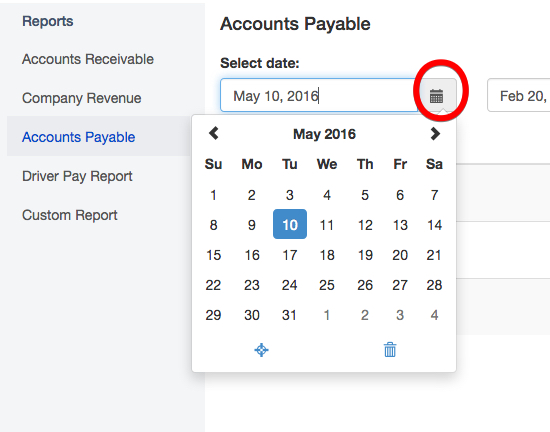 Once you have paid the fee to the company, please ARCHIVE the order to remove it from the accounts payable report.